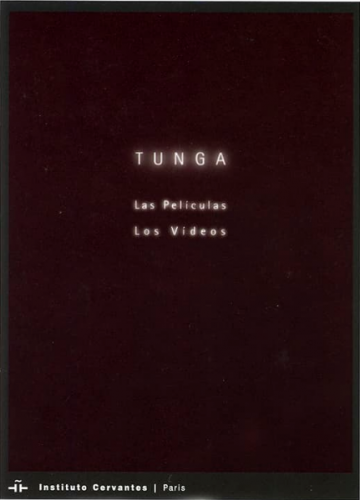 This is the catalogue of the exhibition "Tunga. Las películas, los vídeos", presented at the Instituto Cervantes in Paris between 04/21 and 06/10/2005. The show gathered seven videos, two sculptures and fourteen photographs by the artist. The book also features a conversation between Tunga and José Jiménez. Spanish and French.